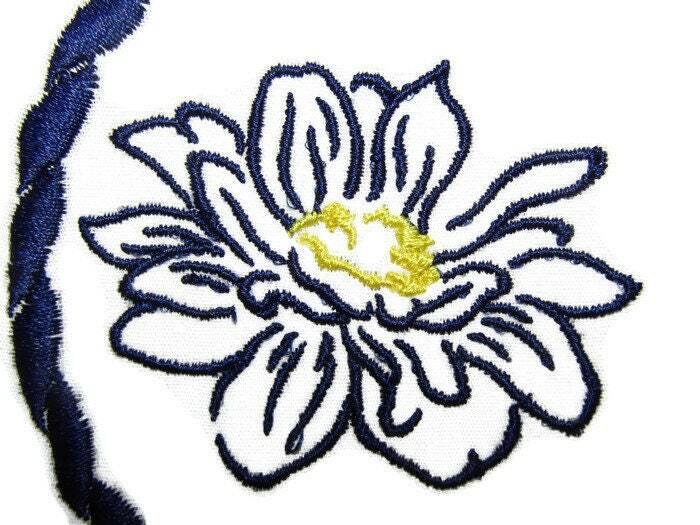 Dahlia flower outline embroidered quilt label, in Navy Blue and Yellow. Customize the label with your personal message. Document you quilts history in style with an embroidered quilt label with a professional finish. 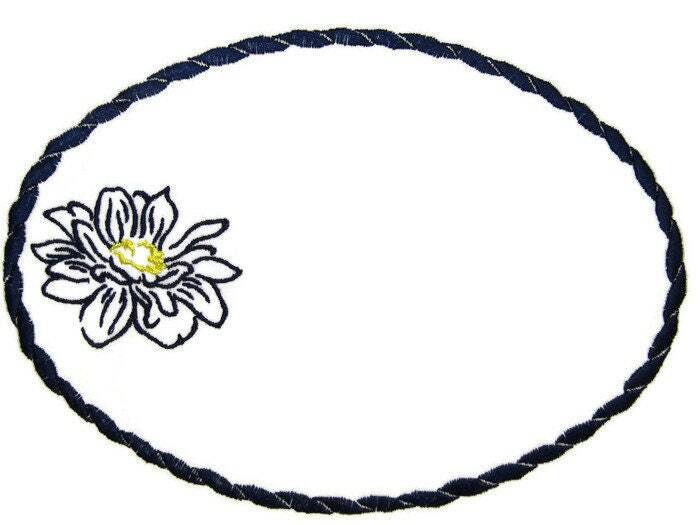 Measures: 13 cm x 18 cm (5" x 7").